Requirement: Implement a file selector with multiple file select with following functions. 1. Allow user to select images only. 1. Preview of all selected images should be populated on the page without uploading the image to the server on selecting images. 2. User should be able to filter images to be actually uploaded to the server from the previews, User should be able to remove selected files using a close button. 3. 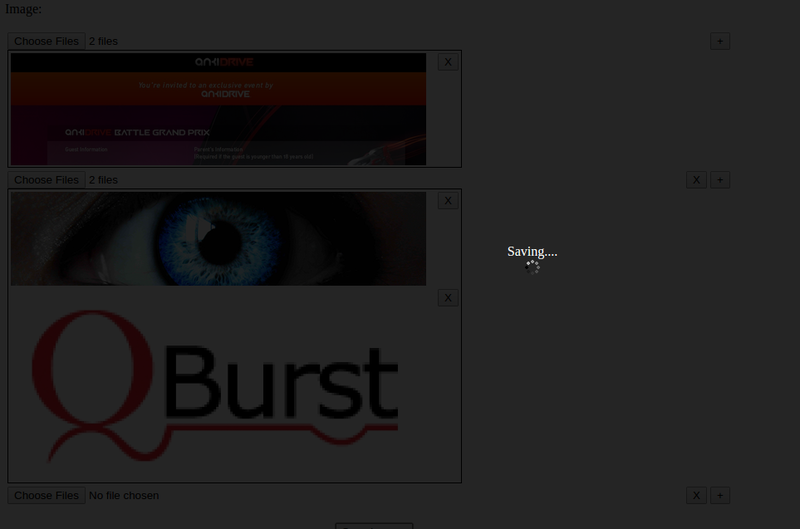 On clicking upload button, the images listed in the preview should be uploaded to server without page re-load(Ajax). 1. User can select images using multiple File Input. 2. 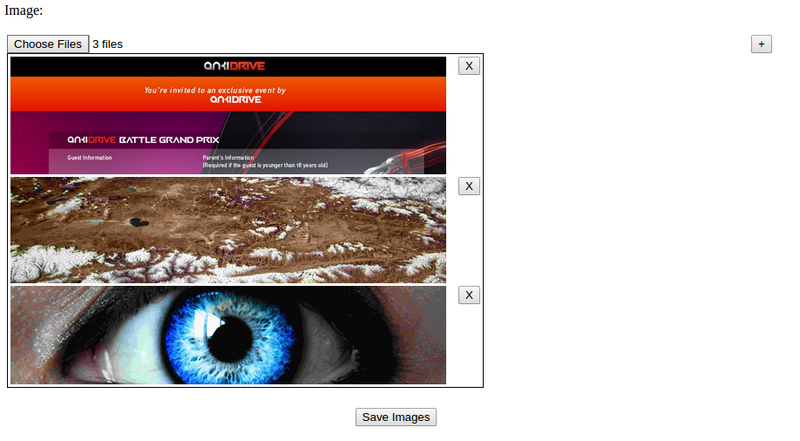 Preview of images selected can be populated by using a FileReader object and can be appended to html preview area. 3. Index of selected images can be used to generate class name of the respective image container, sothat we can match images selected and the one which is previewed. 5. On clicking the upload button, we can iterate through the images selected in the file selector and search for the corresponding image preview container having matching class name to find if the preview of the image is not removed by the user, if present, add them to formData object and submit them via ajax to the server. Function to display preview of images selected using the input selector. Logic: For each images selected, add a preview row to the image preview table, with a class name corresponding to the index of the file in the file selector(imagePreviewRow_<index_of_image_in_file_selector>). Iterate through the files selected using the file selector input and check the mime type of the selected file, if it is an image, create a file reader object to read the content of the file and append file content to the preview row. Function to remove selected image from preview. This function removes the image from DOM instead of hiding them. Function to upload remaining images available in the preview list. Logic: Iterate through each file input and each files selected, and check if the image is in the preview. this checking can be done easily by checking the image preview row with name(imagePreviewRow_<index_of_image_in_file_selector>) corresponding to the index of the file in the file selector input exists. If the preview is available, create a formData object and append the image to the object. Now post the form data object using "XMLHttpRequest" to the server(Ajax). This function sends an ajax request corresponding to each file selector to tackle the maximum file upload size limit that can be uploaded to the server. This method avoids uploading large number of files simultaneously to the server there by getting caught by the max file upload limit. var file_name_input = '<input type="hidden" class="image_name"
Function to populate new file uploader on clicking the "+" button near to existing file selectors. On clicking the "+" button, the row containing the "+" button is cloned, selected files and previews if any are removed and appended to the end of the container. File selector along with selected images are removed.